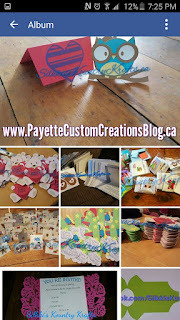 I have really been getting into paper crafts lately and have done a lot of card making. I wasn't sure which glue to grab and although this one is a little pricey, $5.49 for 48 ml. I went out on a limb one day and picked one up. Boy am I happy I did. Tombow is now my go to Liquid Glue. I absolutely love how it comes with two tips, pen or broad, and is so easy to use. I apply a very thin line to my paper or cardstock and press tightly for a few seconds and it's set. I can't believe how wonderful this product is to use. 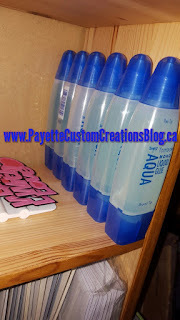 I love the ease of use and the quick drying of this adhesive. It makes it so easy to make multiple cards in one day. If you're looking at getting into paper crafts, scrapbooking, card making or other and you're wondering what kind of glue to purchase that will make your paper work more enjoyable then I would strongly suggest trying this glue out. You won't be sorry that you did! If you'd like to stay up to date with what I'm making feel free to join me over on Facebook or Instgram. I am always happy to share what I'm making for sale or for personal use. 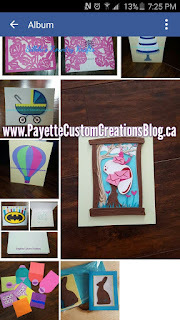 Here are some photos of cards I've made recently. **Payette Custom Creations purchased one or more of the products mentioned above. I only recommend products or services I use personally and believe will be good for my readers.